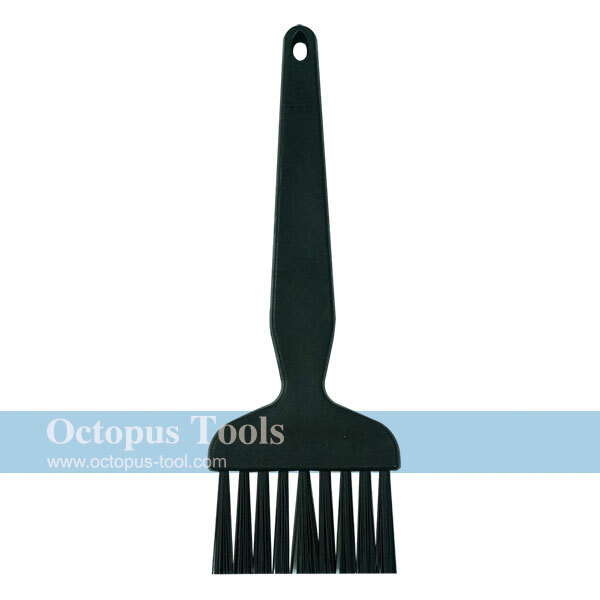 ◆ This conductive plastic handle brush is designed for cleaning electronics and static sensitive components. Contents included: 1pc of pickup vacuum pen, 2pcs of φ3mm pads, 2pcs of φ7mm pads, 2pcs of φ10mm pads, 1pc of straight probe, and 1pc of curved probe. ◆ Special and slender design of tip makes it ideal for cutting vertically especially for resistance or IC lead on dense circuit board. ◆ With one 1.5mm hex key wrench, you can adjust angle to Max. 5mm. ◆ ESD-safe handle made of thermoplastic elastomer featuring cushioned grip. ◆ Bring less fatigue when being used consecutively with spring design. ◆ Strap holes at grip-end enable this cutter link together with your key or personal items. ◆ Special and slender design of tip makes it ideal for cutting in 45 degree especially for resistance or IC lead on dense circuit board.